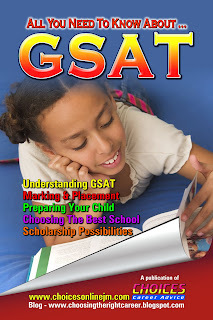 CHOICES is here to help you with GSAT information. 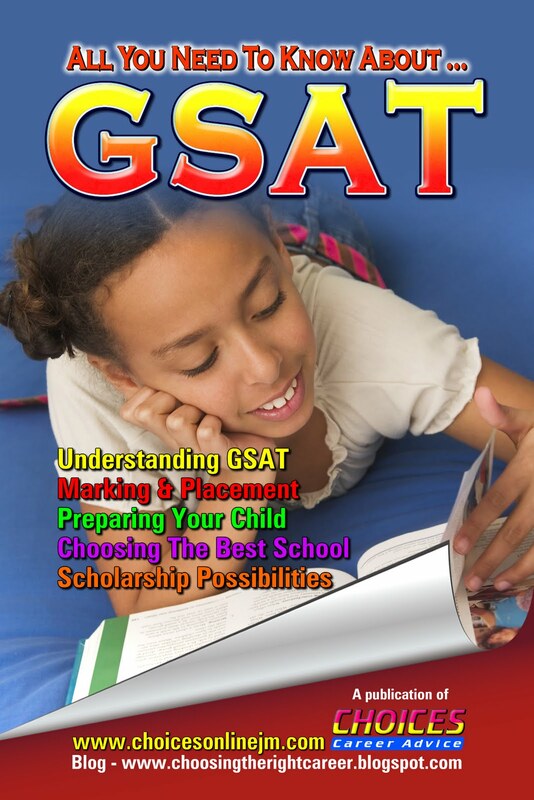 Our newest publication - "All You Need To Know About GSAT" - is for parents of students who will sit the GSAT in 2011. All of their questions and concerns will be laid to rest with this publication which is now available. The cover is pictured. We can supply copies to you in time for the GSAT regsitration process and/or your important PTA meeting at which this subject will be discussed. We advise you to place your order early to ensure that we can supply your requirements. Call us at 876-969-5741.